Bio: “JEFF is a young funk band with a firecracker sound; ready to awaken the spirit in you and get your booty shaking. Featuring a growing number of original songs, and funk classics from the 70’s and 80’s, you’re sure to have a good time letting the vibes through you. 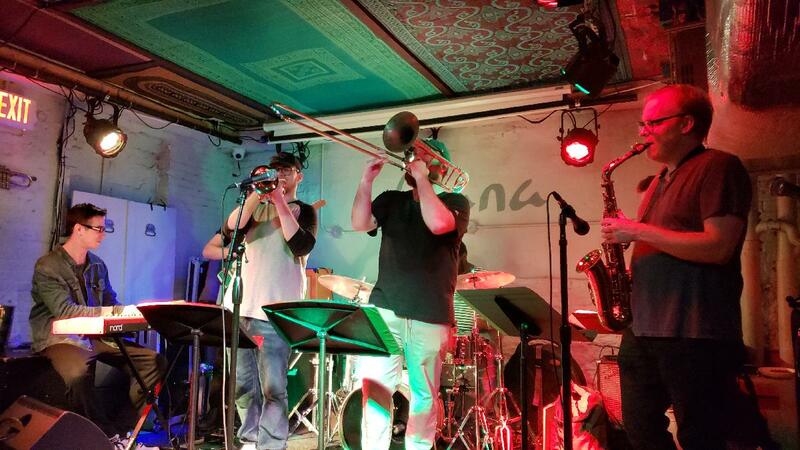 The 7 piece group, led by trombonist Red Hawley, features alumni from the top conservatories in America such as Juilliard, Berklee College of Music, Oberlin, Manhattan School of Music, and others. Each show more and more jump on the JEFF bandwagon, come get a taste and we’ll be sure to hook you! To learn more, you can follow us on all social media platforms: @funkyoujeff."